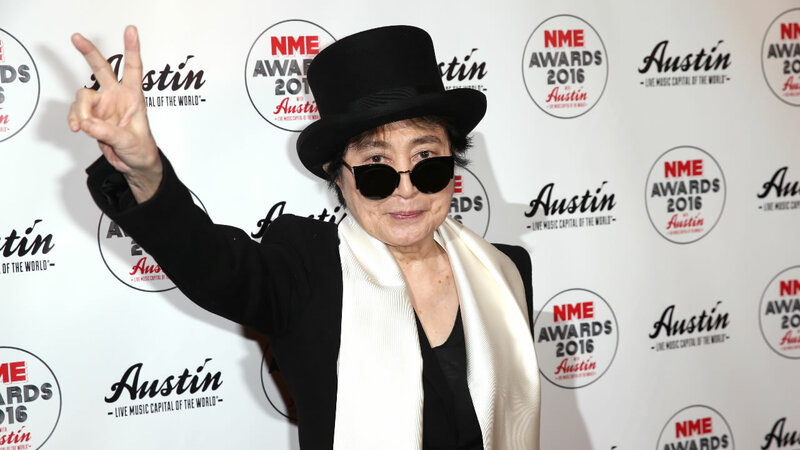 NEW YORK (KABC) -- Yoko Ono, the widow of "The Beatles" legend John Lennon, was rushed to a New York City hospital Friday evening, according to ABC News. EMS officials said Ono was taken from The Dakota apartment building to Mount Sinai West Hospital Roosevelt at about 9 p.m. local time. The hospital is the same institution that Lennon was pronounced dead at after being assassinated in 1980. Ono was unconscious when she was transported, according to EMS. Her spokesperson Elliot Mintz told ABC News reports that Ono suffered a stroke were "not accurate" and said that she "had symptoms along the lines of a serious flu." Mintz stated he was told there were no life threatening circumstances and that Ono will be released from the hospital as early as Saturday morning. The couple's son, Sean Ono Lennon, said in a tweet that his mother did not suffer a stroke and it was "just dehydration/tired." Ono has lived in the luxury apartment building on Manhattan's Upper West Side since 1973. John Lennon was shot and killed in front of the building on Dec. 8, 1980.